(Beyond Pesticides, April 11, 2018) The request by shellfish growers in Washington State to apply the neonicotinoid insecticide, imidacloprid, on oyster and clams beds to control native burrowing shrimp was denied by the Department of Ecology (Ecology) after it determined “environmental harm from this neonicotinoid pesticide would be too great.” Concerned resident and environmental advocates have been opposed to the proposed use citing harms to aquatic life including fish habitat, and long-term ecological damage. Shellfish growers from Willapa-Grays Harbor Oyster Growers Association requested a permit from the state to use the imidacloprid on burrowing shrimp that the growers said impede traditional shellfish cultivation. 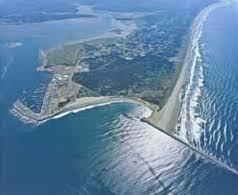 They sought a state National Pollution Discharge Elimination System (NPDES) permit to apply imidacloprid to 500 acres of shellfish beds within Willapa Bay and Grays Harbor, over a period of five years. The growers first applied for a permit in 2015 to treat 2,000 acres of tidelands, but after a strong public outcry, they withdrew the request. In 2016, they applied for a new permit to treat less acreage and Ecology published a draft Supplemental Environmental Impact Statement (SEIS) in 2017 on the potential impacts imidacloprid application would have to the bay. Now, Ecology, after thoroughly evaluating the request and public comments, including those submitted by Beyond Pesticides and its members, has determined that the environmental harm from this neonicotinoid pesticide would be too great, and is denying the request for a permit. Negative impacts to juvenile worms and crustaceans in areas treated with imidacloprid and nearby areas covered by incoming tides. According to the final decision, research and data reviewed by Ecology determined that the proposal to apply imidacloprid, “cannot meet the legal requirements of the Sediment Management Standards and Clean Water Act that protect sediment and water quality.” Ecology conservatively estimates for every one acre of tideland that is chemically treated, imidacloprid spreads out and impacts five acres. Even at low concentrations, it has significant impacts on the environment. Studies investigating the impacts of neonicotinoids on aquatic organisms find that these pesticides can have devastating impacts on aquatic communities and on the higher trophic organisms that depend on these communities. Even at low, sublethal levels imidacloprid has the ability to reduce survival and growth in these organisms and can affect molting and larval development. The effects of imidacloprid on certain aquatic organisms are wide-ranging and include significant reduction in abundance, significant reduction in survival, reduced feeding, and behavioral changes. For more read Beyond Pesticides’ Poisoned Waterways. Also important to note is that the burrowing shrimp have an important function in the ecosystem of Willapa Bay and Grays Harbor. According to an analysis conducted by the Xerces Society, “The benefits from these species are likely to include ecosystem services such as substrate bioturbation, improving water quality and nutrient availability.” The National Oceanic and Atmospheric Administration’s National Marine Fisheries Service (NMFS) finds that the native burrowing shrimp play an important role in the natural ecosystem, and voiced concern for the green sturgeon – a “species of concern” under the Endangered Species Act (ESA), which could potentially be impacted via reduced food sources in its designated critical habitat. Other species, like migratory birds that depend on shoreline aquatic invertebrates, can also be significantly affected. These trophic impacts are also extended to other aquatic predators in the Bay. These disruptions can have long-term cascading effects on food webs and habitats in or near aquatic environments. These government assessments and independent studies underscore the risks posed to aquatic ecosystems, which warrant federal restrictions on the use of imidacloprid. Ecology’s decision is subject to a public comment period before it is final. The public may submit comments on this decision through May 14, 2018. This entry was posted on Wednesday, April 11th, 2018 at 12:00 am	and is filed under Aquatic Organisms, Imidacloprid, Pesticide Regulation, Washington, Water. You can follow any responses to this entry through the RSS 2.0 feed. You can skip to the end and leave a response. Pinging is currently not allowed.